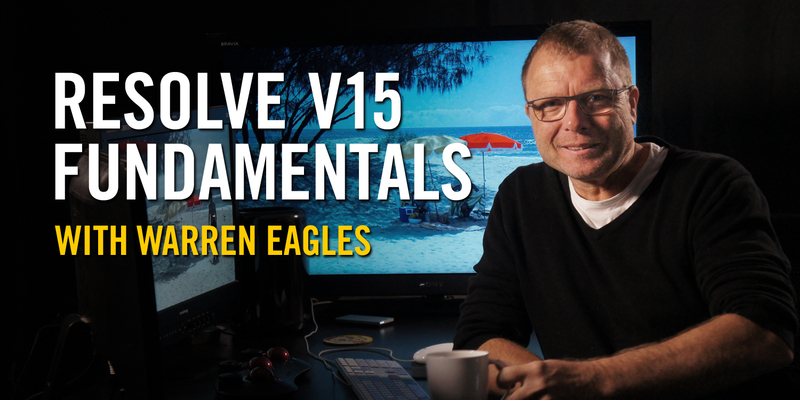 Get a fantastic deal on a bundle of all of our new Resolve courses. 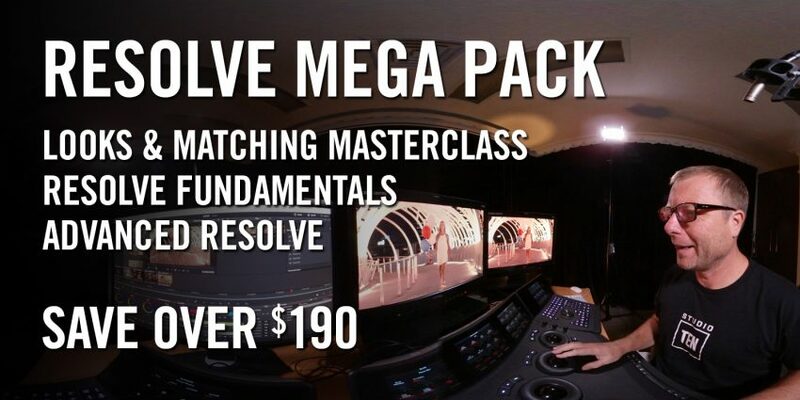 This special mega pack includes Resolve Fundamentals, Advanced Resolve, and our one-of-a-kind Looks & Matching Masterclass. By buying all three courses in this bundle, you’ll save 40% off the regular price. This is the 11th season I've partnered with fxphd to produce Resolve online training. Blackmagic Design are always inventing and expanding their software, allowing him to add editing to the Fundamentals course for the first time. Everyone is shooting more and more content, all of which needs to be edited and graded to maximize impact. Resolve V15 Fundamentals will show you how to use the new version of the color correction and grading software from Blackmagic Design. This all-new course contains 12 classes covering the fundamentals you need to know to get most out of this new release. This course is ideal for people new to color correction, photographers, editors, DITs, DPs, VFX artists and directors. I always strive to show you why you do something not just how to do them. 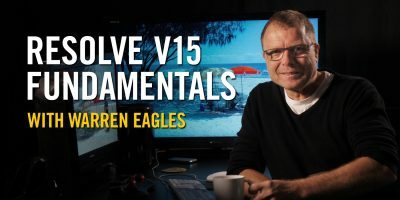 One of the fantastic benefits of this course is that it comes with almost 7GB of high resolution source material so you can follow the same techniques on the same footage Warren uses. You get the media the XMLs, the reference movies and even the Powergrade looks. Footage supplied with the course may be used for learning or your showreel (use in commercial or non-commercial projects is prohibited). This is a beginner level course. You will be taken through the steps needed to get started with both the editing and color features within DaVinci Resolve. You can follow the classes using the same techniques as Warren uses because you get the footage media as well as the instructional videos. You will edit a :45 beach sequence that has a mixture of good and poorly shot (too light, too dark, too blue) ProRes material. You'll learn how to add speed ramps, soft focus, reframes and cool text animations. Once the sequence is edited, you’ll color correct before rendering to your desired social media or TV destination. 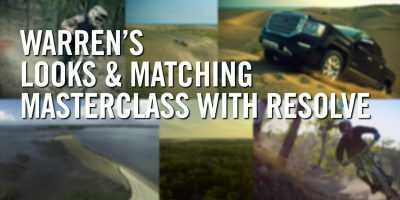 Take this class if want to understand the post process and take more control or your images. 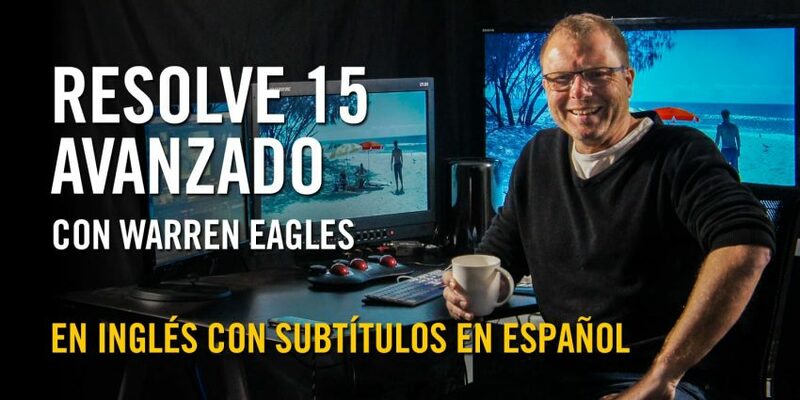 Warren's real world experience as a colorist and teaching classroom courses helps the way he transports techniques into online training classes. Movie content on a website or social media has become a vital part of marketing any business or individual, so it's critically important that your movies look as great as possible. This course is ideal for photographers, DITs, DPs, VFX artists and directors; basically, anybody who needs to produce great looking moving images. This could be :15 for social media, a small TV commercial, or your personal short film passion project that you want to edit and grade. It will also give DPs, directors and producers a better understanding of the complete post process and give everyone the foundation and confidence needed to get started with grading. Blackmagic Design are always innovating and expanding their software, making it difficult for colorists to keep up to speed with each new feature. 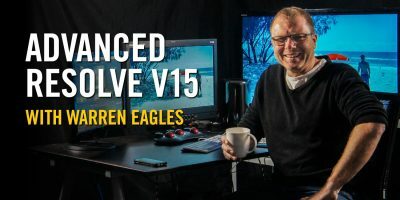 This 2018 Advanced Resolve V15 course is completely new: not a v14 remake. I've dedicated 12 classes to the new features and dive into the new things I like, including a number of OFX plugins. Warren always strives to show you why you do something not just how to do it. His aim is to give you a very rounded view of not only the software but grading in general. Warren's real world experience as a colorist and teaching in-person classes helps the way he transports techniques into online training classes. This course is a creative class that focuses on the art of color correction and not learning the software. It's perfect for people who are already colorists but want to take their grading to the next level. 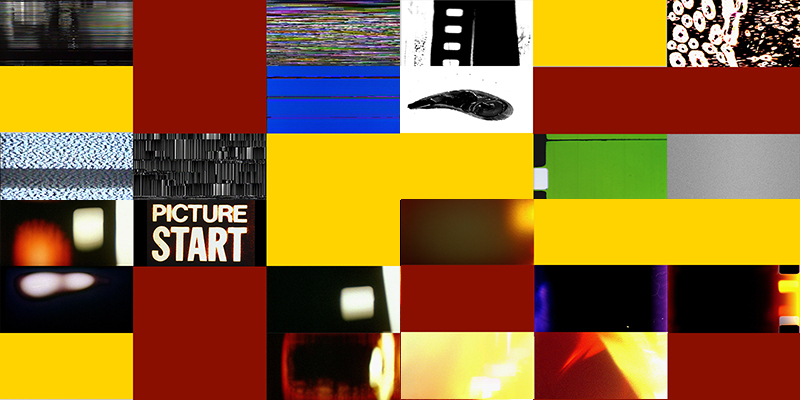 Why do we grade films differently and what are we looking for before we start the session? Creating a cool look is only a benefit if you can match the surrounding clips otherwise it acts as a negative to the viewer as the only notice the mismatch. This course includes an exclusive review feature. When you are happy with your work and want some feedback, you'll upload your files and Warren will critique your work. There will also be a Masterclass member forum exclusive to those who have purchased this course. The priority of the class is to balance, create, and then match. The biggest mistake Warren sees from junior colorists is that their sequences do not match. His aim is to give you a very rounded view of how a colorist should approach a session. Warren's real world experience as a colorist and teaching ICA classroom classes helps the way he transports techniques into online training classes.